As residents are aware, a new administration under the leadership of Executive Mayor, Councillor Herman Mashaba, took office after the local government elections in 2016. 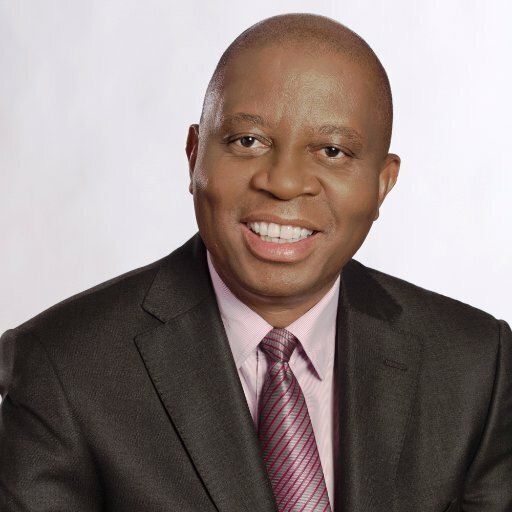 Unlike previous mayors, Mr Mashaba posts regular updates relating to his activities in the social media, which enables us to share information that we know to be verifiable. Today, I am personally taking charge of the billing crisis that continues to leave our residents suffering in the City of Johannesburg. When I was elected as the Executive Mayor, I promised the residents that they would get our very best to relieve them of the misery they have endured at the hands of our billing system. Unfortunately, to date, they have not received this. Upon taking office, it has taken time to analyse the full magnitude of the billing crisis in our Finance Department. We have inherited a billing system where levels of corruption and mismanagement have historically flourished in an environment of chaos and disorder. For years, the system has failed our residents and treated them with contempt. Today I report to the residents of our City that I have put the entire leadership of the Department on terms. Either there will be resolution of the City’s Billing system or there must be consequences. The final straw for me on this matter related a program to regionalise the billing system, with an aim to reduce the time gap between consumption and payment for services. This move had the effect of bringing forward the due date for billing approximately 3 weeks, resulting in many account holders receiving two bills in one month. Account holders who did not pay both accounts were unfairly placed into arrears, accumulating interest on arrears and being charged fees for pre-termination notices. This is an unacceptable treatment of our residents that I condemn in the strongest possible terms. 1. All residents, who have been in good standing with the City for the past 12 months prior to February 2017, and have been put into arrears by the bringing forward of payment due dates, will have their interest owing on arrears and any costs relating to pre-termination notices and disconnections reversed. This will be actioned with immediate effect and will show corrected in their September statement. 2. Regional Open Days will be held across the City going forward on Saturdays, where the City will avail itself to residents at Regional Offices and other facilities to assist residents with billing related problems. 3. A service provider has been appointed and started work on a full diagnostic investigation into the root causes of all billing inaccuracies, from which the City will drive the solutions to remedy the billing system. I commit to the residents that I will communicate regularly on the progress in this respect. 4. All key vacancies within the Department, will be filled with a matter of urgency. Senior positions such as the Group Chief Financial Officer and Group Information Technology Officer will be appointed at the August Council meeting.Other strategic positions within the Department such as Head of Revenue, Head of Accounting will be filled by 1 October 2017. The Department has operated with over 9 Senior Acting Appointments in key positions in the Revenue Department. These positions will be filled with the very best talent available in the industry by the end of 2017. 5. Efforts will be focussed on the resolution of billing queries logged by our revenue call centre. Currently, the turnaround time, lack of feedback and customer care experienced in this regard is unacceptable. The Department has been tasked with turning this situation around and ensuring billing queries are dealt with faster, and more focus on the care of our residents. I would like to offer the residents of our City the most sincere apology for the manner in which they have continued to suffer from both the continuation of the billing crisis, as well as this latest problem. I offer my commitment, that I will personally be taking charge of the situation and seeing to the alleviation of the suffering our residents have endured. This City will be a caring City, one that will put its residents ahead of all else. If you would like to follow the Mayor on Facebook, where you can read regular updates from him, you can do so here.